It’s no longer a choice for either or! Mixing cola and root beer results in great flavored ribs! You get the best of both worlds and it’s just yummy to boot. First, a bit of background–for many reasons, I wanted to move my blogging operation out of my home. Mainly my house became overrun with photography equipment, props and other things necessary to operate. While I was looking for a nearby suitable location, I rented a small bungalow from a friend. I stocked the cupboards with what I usually use, but when I made these, I found out that I neglected to bring a bottle of BBQ sauce to doctor. However there were the fixings needed to make a sauce in the fridge, so that’s what I did. The sauce I made was totally awesome. So you have your choice here to make up some of your own sauce from my recipe, or just “doctor” your favorite pre-made sauce. And by the way, I found a great place that’s only one minute from my home. I closed on October 17 and am busy setting up the place. 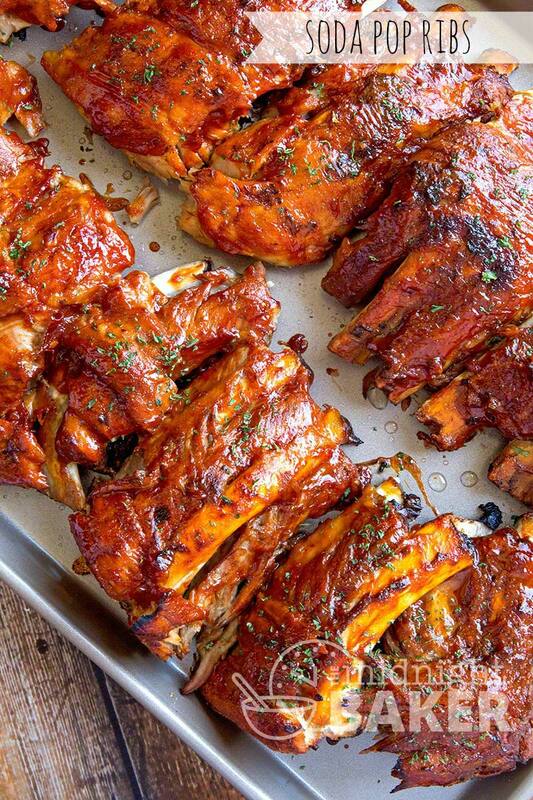 You have three ways you can make these ribs. My favorite method is to use my Instant Pot because they are ready in no time at all. 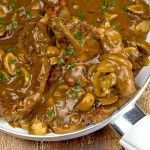 You can also set them and forget them in the slow cooker–however this might result in the meat completely falling off the bone with not much to work with when it comes to saucing them up and crisping. 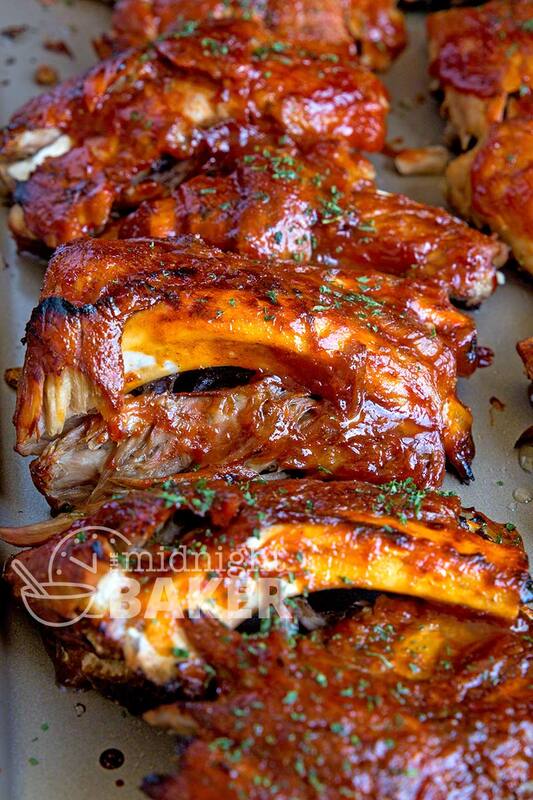 However, many people do love ribs that way and if you do this may be a good method to use. 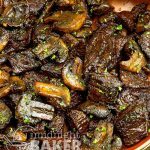 While I’m on the subject of texture, you certainly can get fall-off-the-bone tenderness in the Instant Pot. The only requirement is a longer processing time. Lastly, we come to the oven method. This one takes the longest and you need to marinate the ribs at least 8 hours to get flavor infusion where the other methods do this as part of the cooking process. 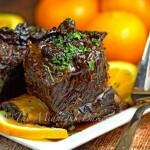 See the “Notes” section of the recipe for the slow cooker and oven methods. Remove membrane on bone side of ribs. 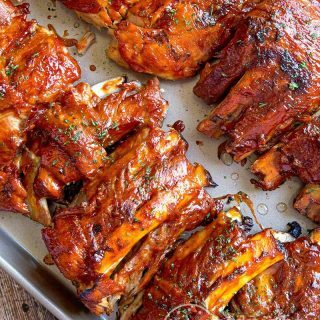 Place ribs in Instant Pot (or any electric pressure cooker). Add the cola and root beer. Seal and cook on regular pressure for 15 minutes (on Instant Pot this is manual at normal pressure. On any other pot it’s 10 psi). Let pressure drop normally for 5 minutes, then release the pressure by opening the valve. 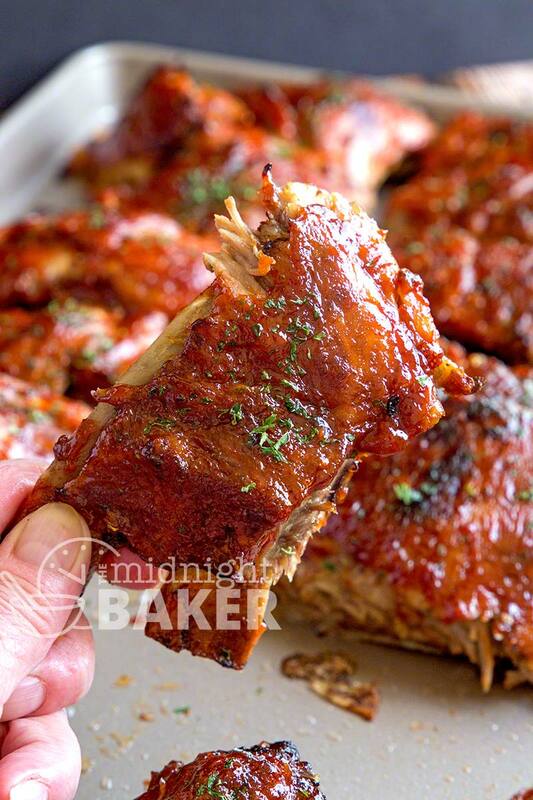 Put the cooked ribs (you can cut them in portions if you like) on a large baking sheet. Smother them with the sauce then pop them under a preheated broiler (about 3-4-inches from heat) for 5 minutes or until the sauce caramelizes. Slow Cooker Method--place ribs in the slow cooker pour the amounts of root beer & cola called for in the main recipe. Cook on low about 5-6 hours, high 3-5 hours (times approximate) Continue as with main recipe. Oven Method--marinate ribs in amounts of cola & root beer specified in main recipe for at least 8 hours. Preheat oven to 325℉. Place ribs on rack and roast for 2 hours approximately. Continue as in main recipe. 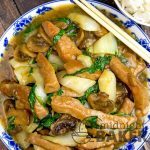 Can instant pot recipes be converted to oven? That depends–but these ribs can be made in the oven. The instructions are in the recipe card notes. Would this work with beef back ribs? Yes!!! And it would be very delicious. Can these be made in an electric roaster?